The brand new Explorer series allows children to investigate & explore individual topics within the Wallbook series. 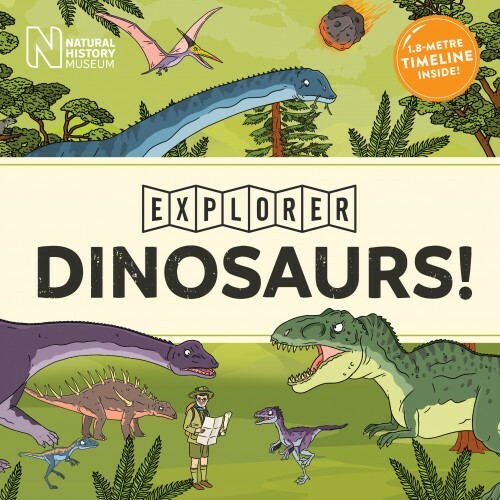 Beginning with four nature Explorer titles, in association with the Natural History Museum, we dig deeper into the amazing stories of dinosaurs, insects, plants & mammals. The first book in the Explorer series; DINOSAURS! Unfold an epic 1.8m-long timeline featuring 100 dinosaurs from their first appearance 230 million years ago through to their living descendants, the birds, today. Find out why dinosaurs were so successful, who discovered the first dinosaurs, what killed off the land-based dinosaurs 65 million years ago and where you can find the best dinosaur remains! Each book contains a fascinating journal from explorer Eagle, on his quest to find out as much as possible about these amazing creatures. His illustrated journal answers key questions about the dinosaurs featured on the timeline. 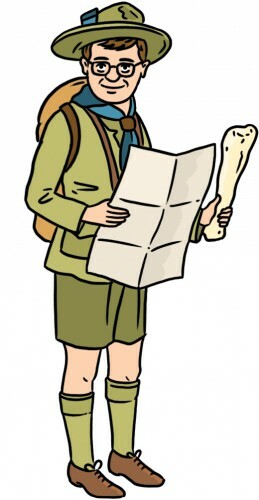 Eagle invites all young readers to join him on his amazing adventures through time in our Eagle-Eyed Explorer Club! Be one of the first to hear all about the club and how to join. Please email me about joining the Eagle-Eyed Explorer club in Autumn 2017.